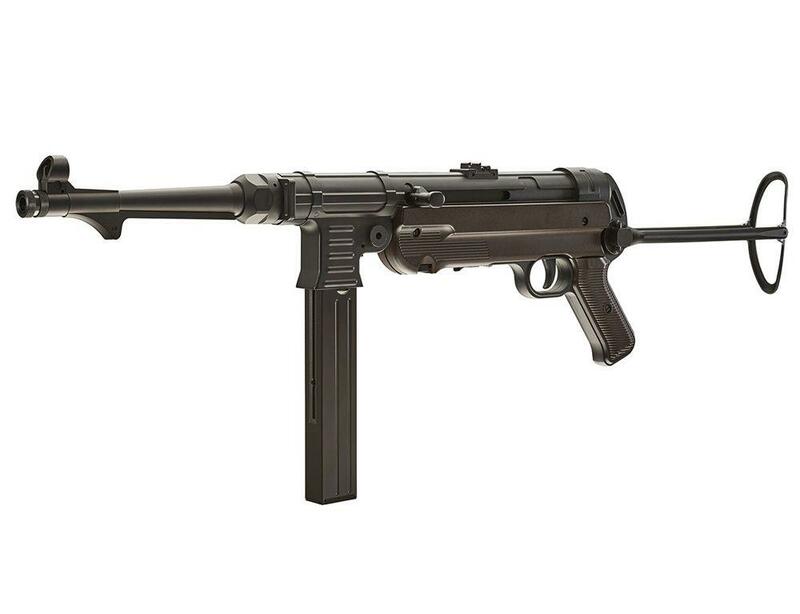 Umarex Legends MP40 CO2 BB Submachine Gun | Replicaairguns.ca | Easter Weekend Sale! Looks and feels authentic. Got it for a great price at Replica Airguns, highly recommend. Full auto is awesome with this. 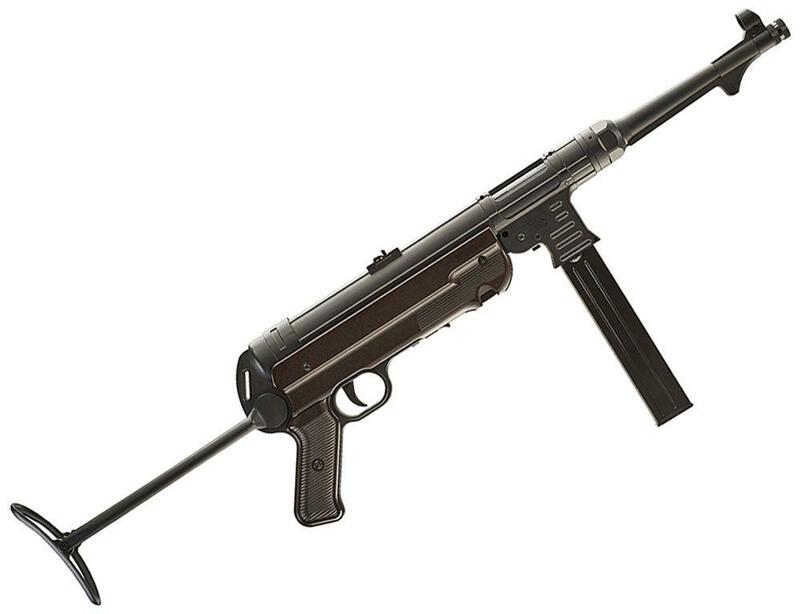 Semi auto is a lot of fun too, and it holds over 50 rounds in the mag. Reloading is a little bit tedious but nothing worth making a big deal over, its just the nature of the beast. 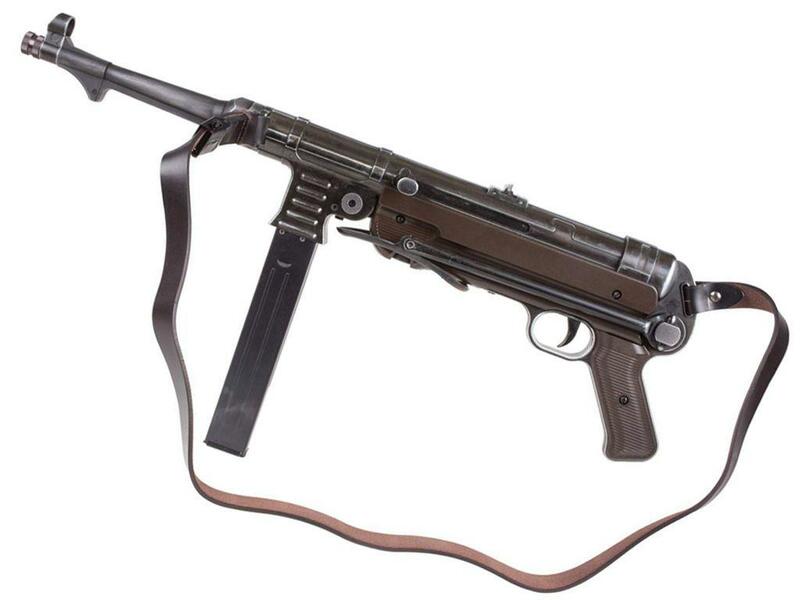 It does use a lot of co2 but that is to be expected with blowback and full auto. But who cares, its a super fun airgun overall. It is very well constructed, full steel minus the grips. It seems to work well with every ammo I've tried so far (hornady, daisy, umarex, swiss arms, etc). I've heard of people having various feeding issues with it, but I think Umarex has fixed this as mine has fired a lot of rounds and has never had feeding issues regardless of the ammo. 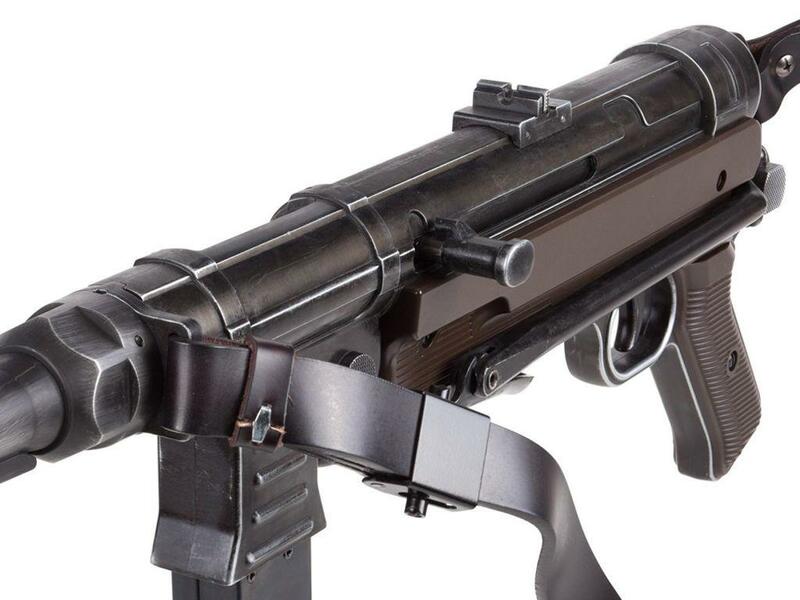 I have also heard of the leaky co2 mag situations that people occasionally run into, all I can say about that is that mine has always functioned flawlessly. I wouldn't worry about it, I think Umarex has fixed this. It's really solid and seems built to last if treated properly. The fit and finish are good as well. Mine has not had any finish wearing off or anything and I've used mine a lot. But I also am careful to take good care of it. I think that to keep any airgun working well over time its important to maintain it properly and take good care of it. If you do that it should stay in working order for years. I do recommend using pellgun oil or rws chamber lube on the co2 each time you use it to avoid the seal drying up in the mag. For a bb gun it is pretty accurate, but still mostly for plinking. It definitely shoots at the advertised fps in my experience. Like I say it functions really well. I've literally never had it not function flawlessly. 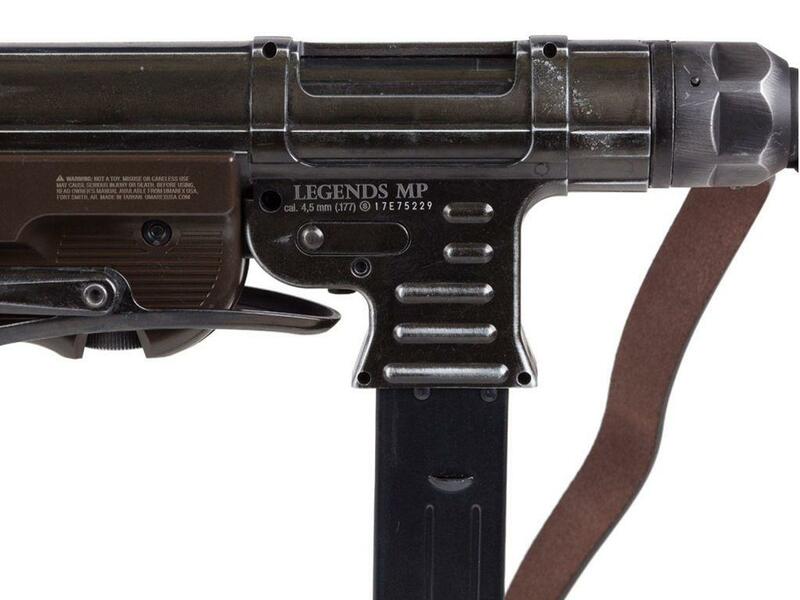 Anyway, if you want a really neat replica don't miss out on this one. Its a really cool one just to have. 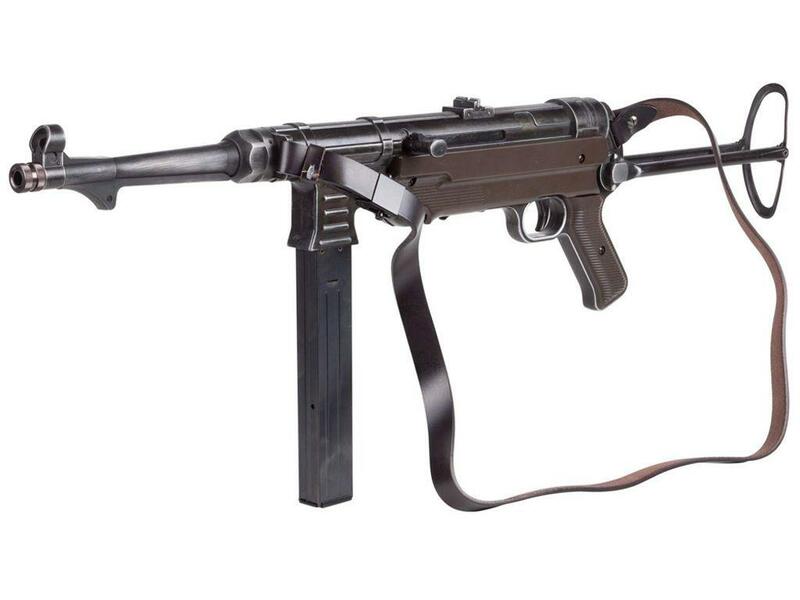 It's better than some of the other full auto bb guns on the market these days in my opinion. Just keep lots of bbs and co2 on hand and enjoy! tres satisfait. envoi et recu en 6 jours et je suis au quebec! merci ReplicaAirguns! 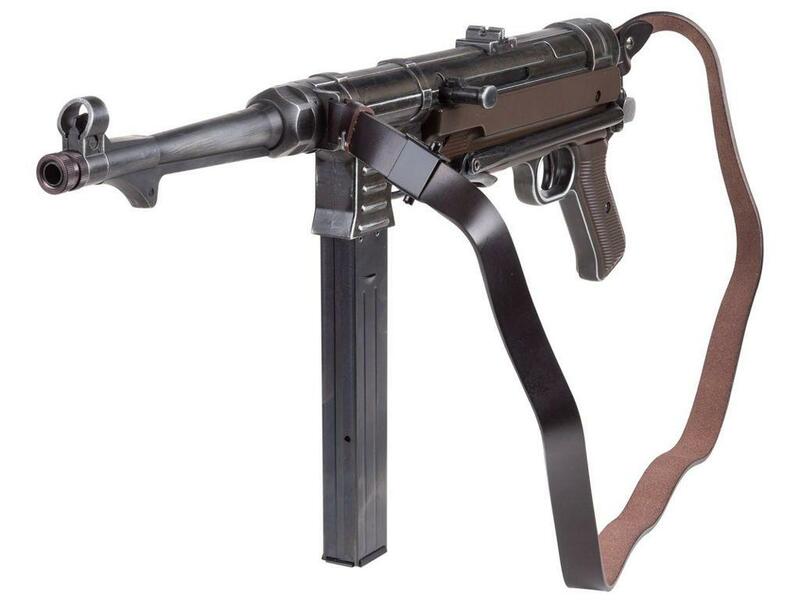 I bought the mp40 from replica last year and have had much experience with it. 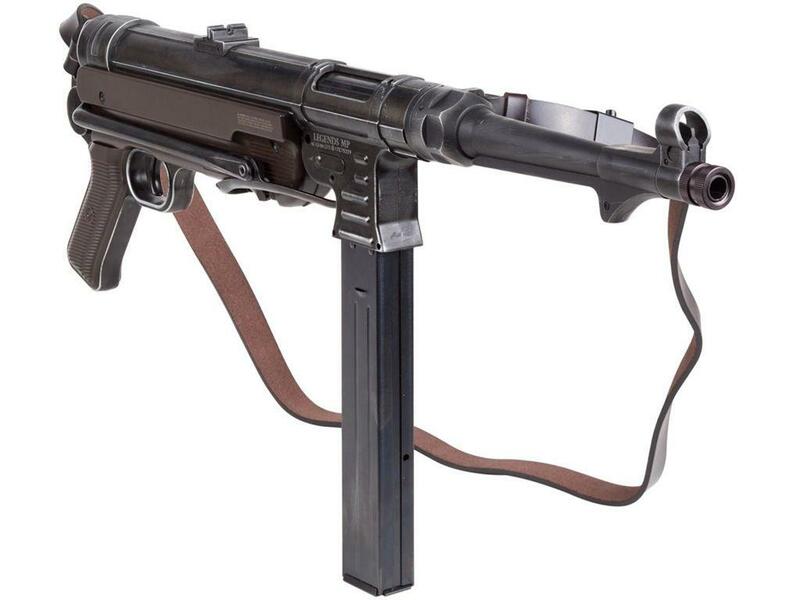 This is the most amazing machine gun I have in my collection its build quality is beyond perfect, a tun of parts is in this gun. Its weight and feel is absolutely amazing its recoil is very smooth and packs a nice kicking punch in full auto. I've seen many reviews on the accuracy and they do it no justice, its the most accurate bb gun I've ever had it always gives a solid 1-inch grouping. 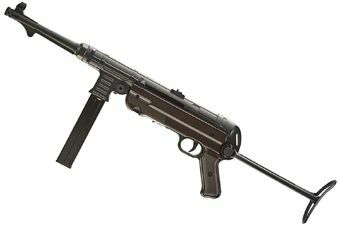 Also I'd like to say a special thanks to replica airguns I've ordered over 12 guns from them and every time they are shipped efficiently I've never had any issues boxes and guns are always mint, and their prices are seriously the best I've ever dealt with. I seriously recommend if your looking for a gun and they carry it DEFINITELY buy it here you will not be disappointed. 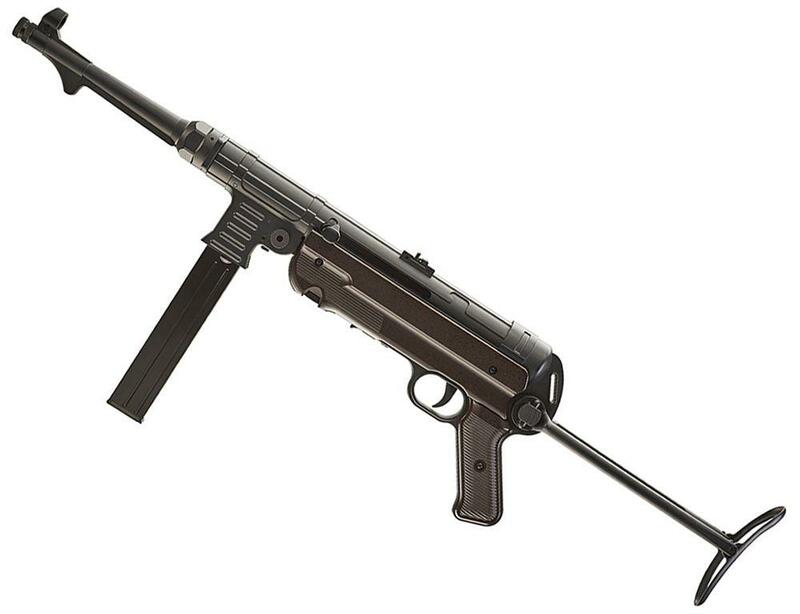 The mp40 is the most iconic submachine gun its absolutely beautiful extremely realistic and I cant say enough about it thanks again replica airguns cheers.